TCE worked on repositioning BeLeaf and their new line of products as well as refreshing their logo design, designing all the new packaging, and developing their website. We continue to work on their marketing and social media. 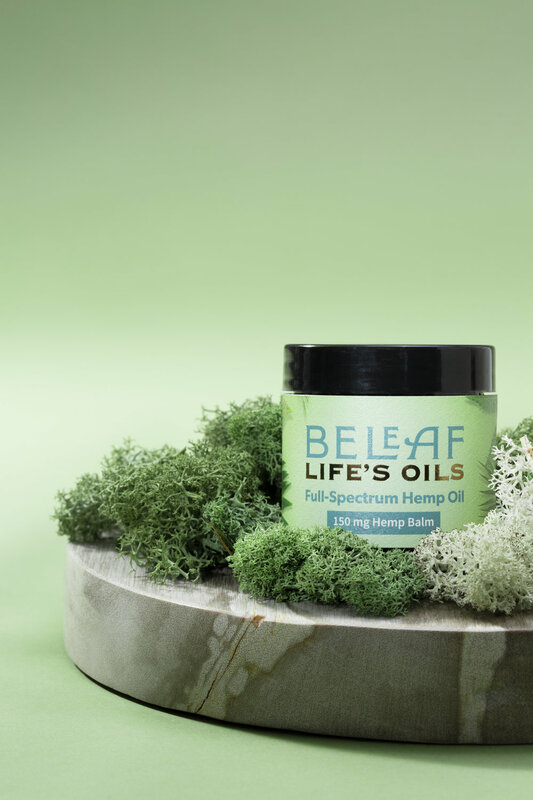 BeLeaf Life’s Oils is a new line of CBD products entering the quickly growing hemp and cannabis market. Launching just as the new farm bill goes into effect that takes hemp off the controlled substance list. 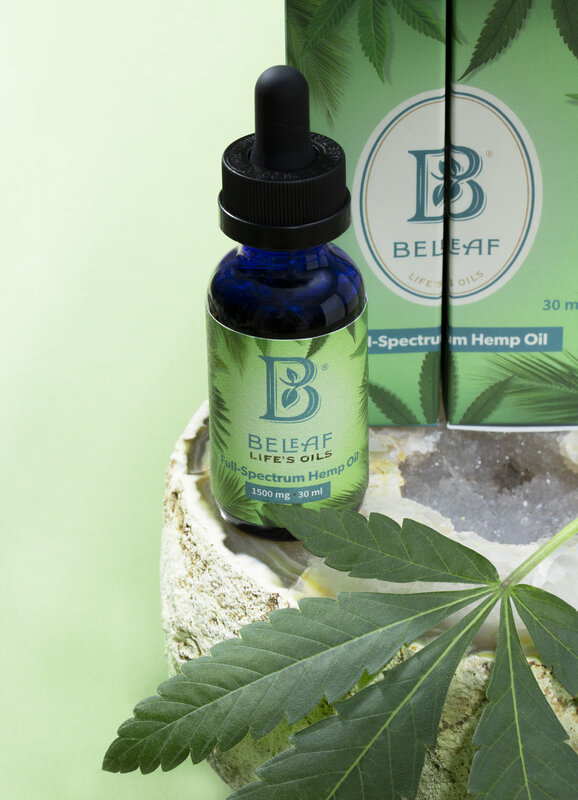 BeLeaf Life’s Oils is full-spectrum hemp oil extract that is cultivated and curated with a focus on purity and potency. Using the entire hemp plant means it has all the terpenes and keeps the legal limit of 0.3% of THC to help the CBD work to its fullest. The new line includes capsules, balms and tinctures. The labels were printed by Blue Label Digital and include a hot foil stamp to accent the Life’s Oils on all labels and in a few other spots depending on the label. All the boxes from the three tinctures have a soft touch laminate and feature a “billboard” layout to create a unique setup on shelf.